A) What are your favorite collaborations between knife makers? B) What collaborations would you like to see that haven't happened yet? I did end up buying the Fortis 2.0! Really nice knife! Is the kinfe shown above available for purchase? Why is there no info or description? Obviously a terzuola design but what is it? I know spyderco and knife center already did their pakka wood and hap 40 thing, but I’d love to see more of that tbh. My personal pick would be a premium line of the bug series. @JonasHeineman the one collab with MD I'd love to see is with borka blades for a collaboration stitch. A super unique and usable design unlike anything else available (aside from the microtech stitch, but that is an automatic). Tons different routes for finishing options too. A more affordable production stitch in rwl34 or 20cv would have my money as soon as it dropped. Here's the favourite collaboration that i own:) Made by Steve R. Johnson and Michael J. Smith, and engraved by Julie Warenski. Nice knife. But I would prefer to use the money for a down payment on a Porsche. I think a Kevin Wilkins Leaf Storm design would be ideal for this group. The Spyderco version was good and even better if you got s custom scale from Kevin. Seen some Russian knives. For some reason are usually very expensive. Would be nice to see some of there ideas/efforts directed into a quality production facility that could mass produce a more affordable product. Gavko Thresher is Awesome, So Awesome I picked up 3 of them in different styles,The Value for what your getting is outstanding.I would love to see more from Massdrop/Gavko... Also have my eye on the Keen collaboration,but seems to be sold out at the moment. Laconico Keen is the best Massdrop collabo knife I've gotten in on. Ray Laconico involved with any future drops is solid gold! I'd also like to see a Massdrop collaboration with Dmitry Sinkevich. Tashi and Bob would be more than dream come true! I'm really tempted by an MKM Clap designed by Bob Terzuola. Thank you Jonas, for all of your hard work this year. It's been a great year, and you have been a big part of it. 2019 will soon be upon us, and another exciting year will follow, I'm sure! No, the Archbishop 2.0 will be part of the FFKW Pro Series. We're focused mostly on original designs, whereas their Pro Series will focus on production versions of past FFKW models. The Mordax is an exception because of the mutton-lock flipper made in partnership with Pro-Tech. Thank you much, for clearing that up for me Jonas. I thought I had heard them say, that some of the variations, would be available directly through them (FFKW), and two of the variations would be split out. One being an exclusive to BHQ, and one exclusive to Massdrop. I must have heard them incorrectly. Either way, I'm sure that 2019 will be an exciting year! I'm excited for the upcoming Mordax, and whatever else you may have up your sleeve. Name a better duo than Jesper Voxneas and Yens Anso. I'll wait. Agreed, but I think Giant Mouse has that one pretty much sewn up. The sleek lines of a Jens Anso and Tuff Knives, I believe would be awesome. I have one of their first generation knives and it is amazing. The Holt's are awesome people to work with too. We'd be interested in making that knife if both Bob and Tashi were up for it, but we don't have that in the works...yet. 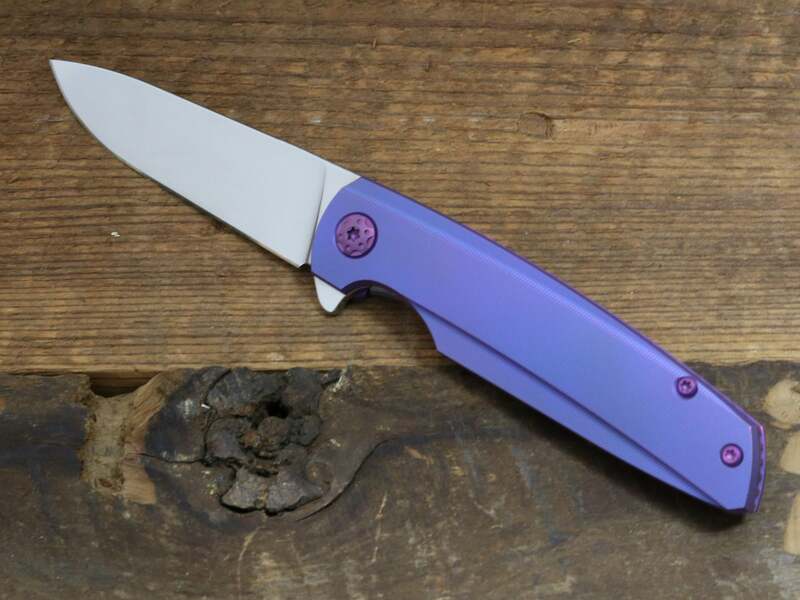 Steve Karrol or Gareth Bull Shamwari or anything Shirogorov would be sweet! Love Gareth Bull's work, we can reach out and see if he's interested. Would love to see with Toledo and Randal! I would love to see Jukka Hankala do something. Can't say I've heard this name before, post some links or photos if you have a sec so we can check em out. My favorite collab knife is the Tom Mayo Lee Williams Donk.